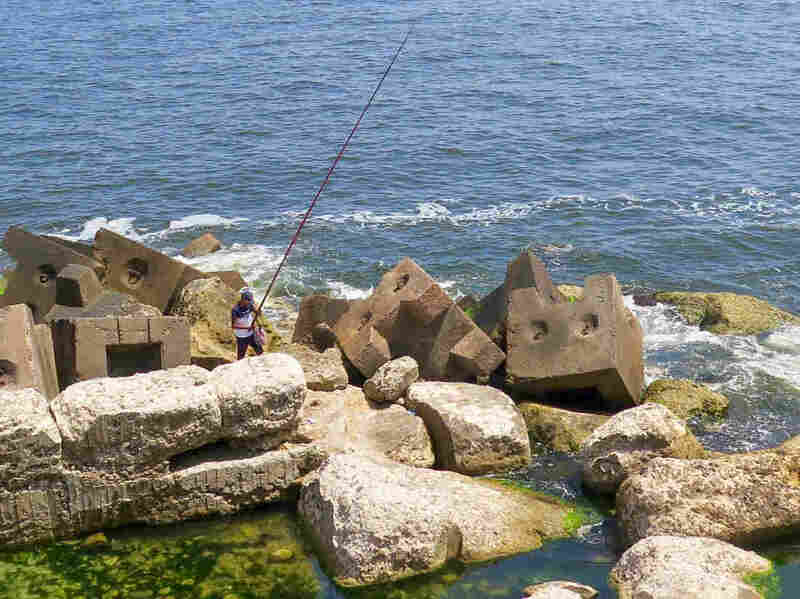 In Egypt, A Rising Sea — And Growing Worries About Climate Change's Effects : Parallels "In the winter, the sea attacks us," a fisherman says. "We are afraid the village will sink into the sea." 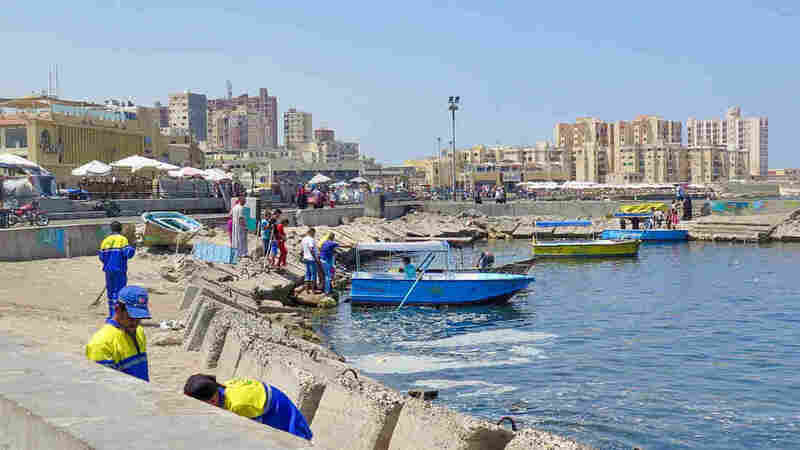 The World Bank says Egypt is among the countries most vulnerable to climate change's effects. 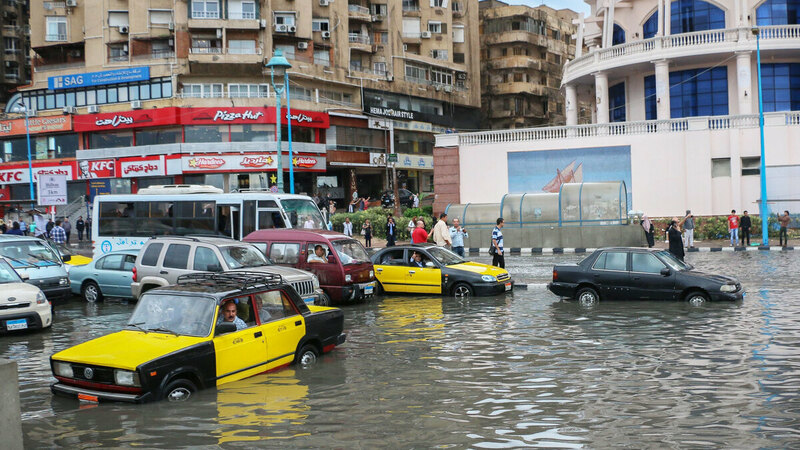 Drivers maneuver through floodwater after a torrential rain in Alexandria, Egypt. The Alexandria boardwalk is lined with concrete barriers to keep back rising waves. A fisherman stands on what are believed to be remains of the ancient lighthouse of Alexandria — considered one of the Seven Wonders of the ancient world.